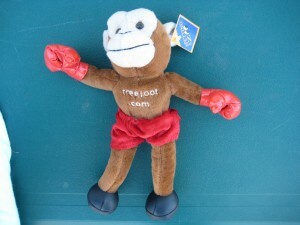 One evening while procrastinating on the internet (no surprise there) I came across this blog post over at Operation: Write where blogger “Jaybird” reminisces about spending hours playing the “Punch the Monkey” game at the now defunct Treeloot.com to try to win the fabulous Plush Monkey prize. 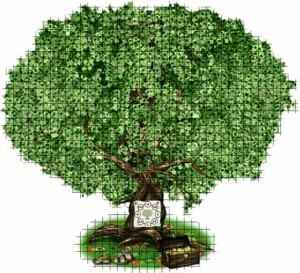 I too, spent many hours fighting this evil tree, spending hours just to get to the mini-game only to get the same result. 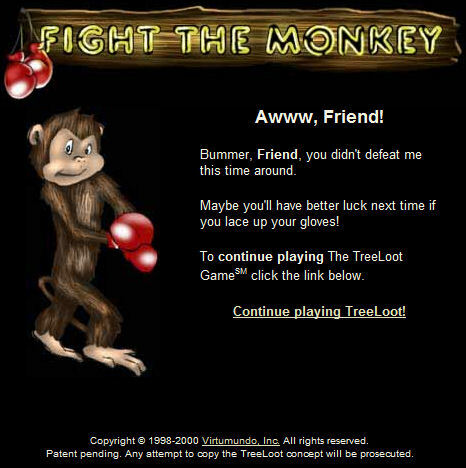 I spent some time trying to track down a playable copy of the minigame, just so you could understand what one had to go through, but alas, even the Internet Archive hated that monkey..
After countless clicks, and days upon days of playing (no cash either by the way..) I finally scored enough hits on the Monkey to beat the game! Sixty-Eight weeks later (It was over ten years ago, it certainly felt like that long) This arrived in my mailbox! and yes.. it really did take me eight months to find it..